In 1999, an informal coalition of volunteer groups and government bodies agreed to do something about illegal garbage and tire dumps in the valleys of the Raccoon Creek Watershed. The dumps were eyesores, gave a bad impression to visitors and residents of the various communities, and were magnets for more illegal dumping. The cleanup partners - composed of the Townships of Greene, Potter and Raccoon, the Raccoon Creek Watershed Association (joined with Independence Conservancy in 2014), PA CleanWays of Beaver County (now Keep Pennsylvania Beautiful), Beaver County Department of Waste Management, and the Independence Marsh Foundation (now Independence Conservancy) identified and prioritized several highly visible dumpsites located along public roads. Many targeted sites contained a share of the over 100,000 tires which had been collected from tire shops and illegally dumped into remote areas of the Raccoon Creek Watershed in the late 1980's and early 1990's. One cleanup campaign was conducted in Potter Township on Pleasant Drive; another on Moffet Mill Road in Raccoon Township; one in Raccoon Creek State Park; and another in Smith Township near Burgettstown. The Pole Cat Hollow Cleanup was the largest tire and rubbish dump cleanup conducted in or near the Raccoon Creek Watershed by the informal partnership. Over six thousand fugitive tires were removed and properly disposed from this site alone. The Pole Cat Hollow illegal dump cleanup enhanced abandoned mine reclamation efforts farther downstream at the former Pegg's Run Coal Company. Over $200,000 in Growing Greener grant funds were well spent toward restoring the Pegg's Run Watershed, a part of the greater 20-D Raccoon Creek Sub-basin. The Kennedy Hill dump site in Greene Township contained over 3000 fugitive tires and 175 tons of household refuse. Corporate grants paid to remove all of the tires and much of the trash, which spoiled an otherwise beautiful oak and maple forest. Restoration began in 2006, but funding was exhausted by the end of 2007. Several tons of rubbish and small debris remain. The various Raccoon Creek Cleanups have removed 22,000 fugitive tires, removed 300 tons of illegally dumped residential garbage, re-vegetated the former dumpsites with native plant species to enhance wildlife habitat and scenic beauty, improved water quality in the Raccoon Creek Watershed by eliminating seepage from these dumps, reduced likelihood of West Nile Virus by removing mosquito-breeding habitat, improved property values and quality of life for neighborhood residents by eliminating fire, safety and health hazards, provided volunteer opportunities for local residents to participate in the cleanups, to monitor the sites after completion, and to deter future dumping. Independence Conservancy is a watershed-based, all-volunteer group of environmental enthusiasts who share a vision of clean water, beautiful vistas and special places in the Raccoon Creek Watershed preserved forever. We are a leader in environmental restoration initiatives in the Raccoon Creek and nearby watersheds, a well-respected and effective partner in conservation planning, volunteer cleanups, outdoor education and abandoned mine reclamation. In 2014, the members of the Raccoon Creek Watershed Association joined with Independence Conservancy. The Conservancy is the official watershed representative of the Raccoon Creek Region. 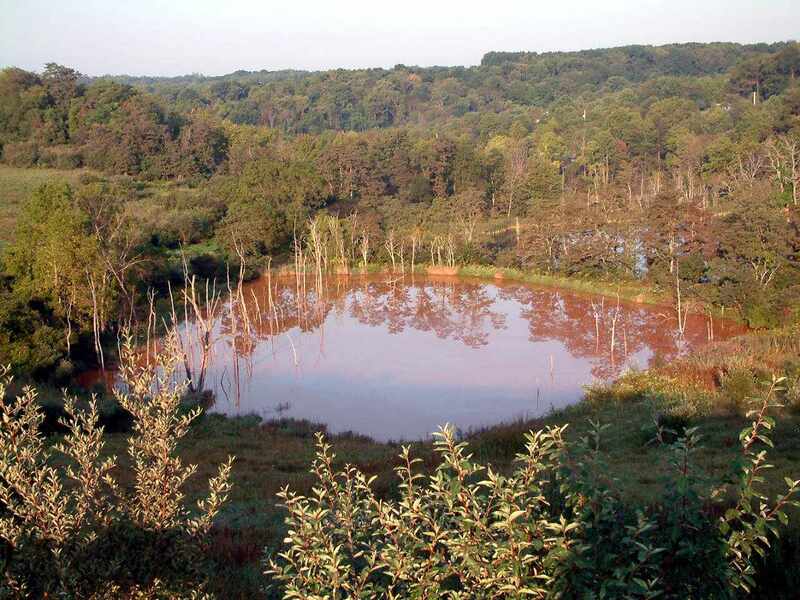 Independence Conservancy works for clean water by owning, operating and maintaining two abandoned mine discharge treatment systems - Solar Mine in Findlay Township, and JB2 in Smith Township. These and three other treatment systems treat 2.5 billion gallons of mine pollution yearly, removing over 600 tons of iron from the headwaters of Raccoon Creek. Our most recently completed stewardship project is the Raccoon Creek Region Conservation Plan (RCRCP), a cooperative effort with the Washington County Conservation District, Stream Restoration Inc., and the Raccoon Creek Watershed Association (which joined Independence Conservancy en masse in 2014). Funded by an $89,900 Growing Greener grant to the Washington County Conservation District, the RCRCP sought public input to develop a vision for the future of the watershed region. The finished product is a one-stop-shop reference of the natural, cultural, historic and recreational features of the Raccoon Creek Region. In 2011, Independence Conservancy completed the Raredon Run Stream Restoration in Independence Township, Beaver County. This $330,000 Growing Greener project was a design-build effort by Wallace & Pancher, Inc. of Hermitage, PA. Natural stream channel stabilization techniques were used to restore 1600 feet of Raredon Run which had been severely damaged by hurricanes in 2004. Independence Conservancy has partnered with many organizations to clean up tons of illegally dumped trash and thousands of tires from the Raccoon Creek Region. A watershed is the region or area drained by a river or a stream. Watersheds come in all shapes and sizes. They cross county, state, and national boundaries. No matter where you are, you're in a watershed! Watersheds contain our homes, farms, factories, schools, roads, forests—all manmade and natural features, including wetlands. 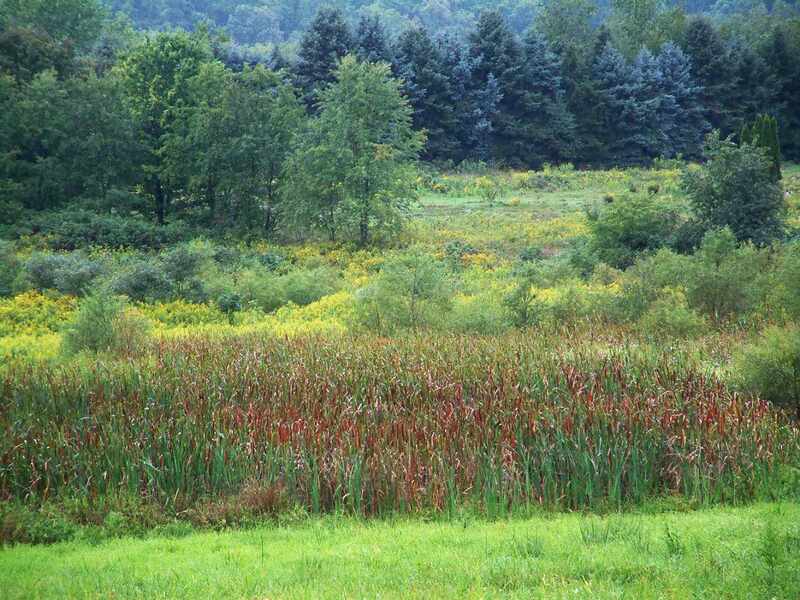 A wetland is an area that is regularly saturated by surface water or ground water. Its prevalent vegetation is adapted for life in saturated soil conditions. Where is the Raccoon Creek Watershed? The Raccoon Creek Watershed is in southwestern Pennsylvania, northwest of Pittsburgh near the West Virginia state line. It is designated 20D in the State Water Plan. Its headwaters begin in Allegheny and Washington Counties. From there it flows north to join the Ohio River just upstream from Montgomery Lock & Dam near Industry. 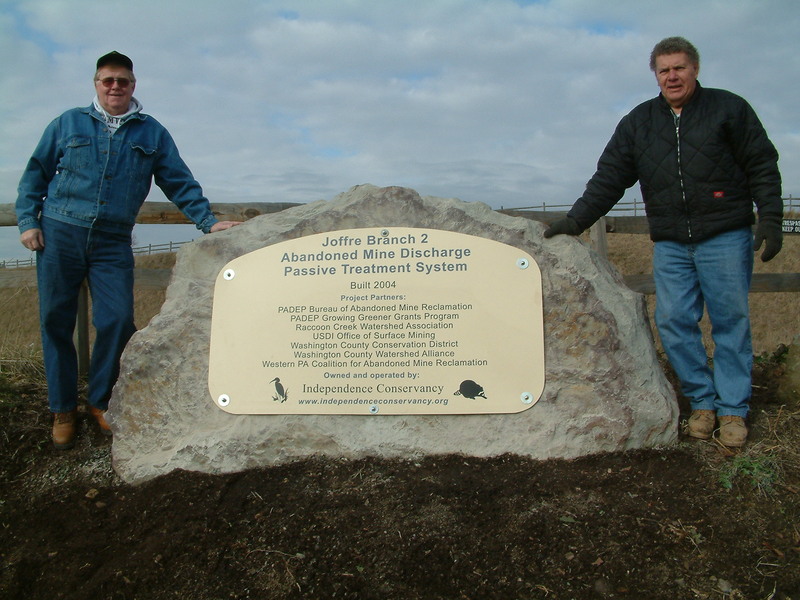 The JB2 Abandoned Mine Discharge Treatment System was Independence Conservancy's first AMD project. It treats an abandoned mine drainage seep, Joffree Branch 2, located on Cherry Valley Road near Burgettstown in Washington County which used to dump over 60 tons of iron and 8 tons of aluminum each year into the headwaters of Raccoon Creek. The JB2 seep was targeted for cleanup by the Raccoon Creek Watershed AMD Survey and Restoration Plan completed in 2000. Many organizations and agencies teamed up with Independence Conservancy and the Raccoon Creek Watershed Association to treat the JB2 Discharge. Independence Conservancy accepted the donation of property surrounding the JB2 discharge to build a Vertical Flow Wetland, a passive system which removes the iron compounds and acidity. 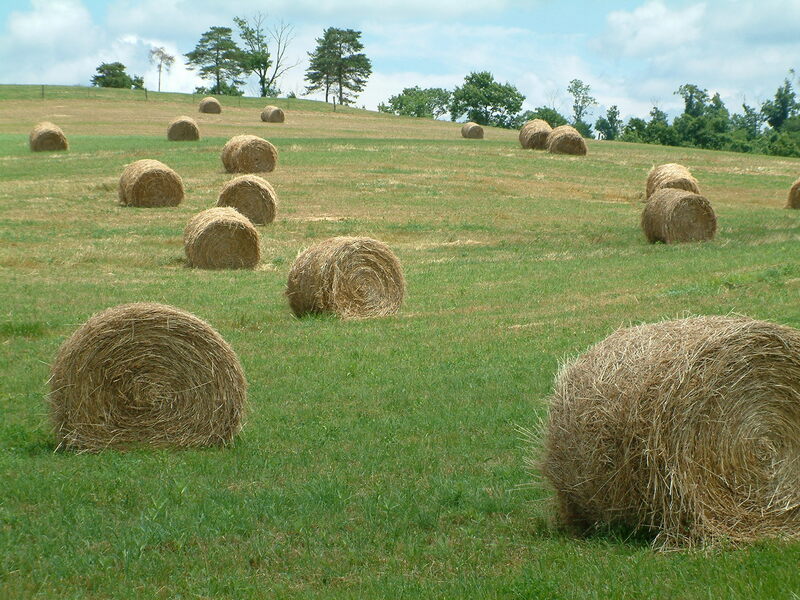 The Washington County Conservation District secured construction grants from the US Department of the Interior's Office of Surface Mining, the PA Department of Environmental Protection's Southwest Regional Office and the DEP Growing Greener Grants Program. Construction began in the fall of 2003 and was completed in the fall of 2004 at a total cost of $422,535. Over time, the high concentration of iron in the discharge water repeatedly clogged the system. In 2009, the Vertical Flow Wetland was converted to a FeAlMn Bed, a different type of passive treatment system which is more effective at treating the JB2 discharge. FeAlMn stands for Iron (Fe), Aluminum (Al) and Manganese (Mn), common pollutants in Acid Mine Drainage. Independence Conservancy owns, operates and maintains the JB2 AMD Treatment System as a major component in eliminating Acid Mine Drainage pollution from Raccoon Creek, thereby restoring water quality, wildlife habitat and recreational values for the entire watershed.